The ANDS Registry Software is freely available as an open source project and can be installed on a modern web server in a matter of minutes. However, for Australian Researchers and Research Institutions, the NeCTAR Research Cloud offers an even simpler method for setting up your own metadata registry. Note: This guide assumes familiarity with very basic system administration and launching a virtual machine from the NeCTAR Research Cloud. Your IT System Administrator should be familiar with these steps. If not, please consult the NeCTAR support documentation. If you haven't already, you will need to Setup your VM Keypair on NeCTAR (this step is necessary so that you can log into the machine at a later date to manage it). Available images are listed under the dashboard Images tab. 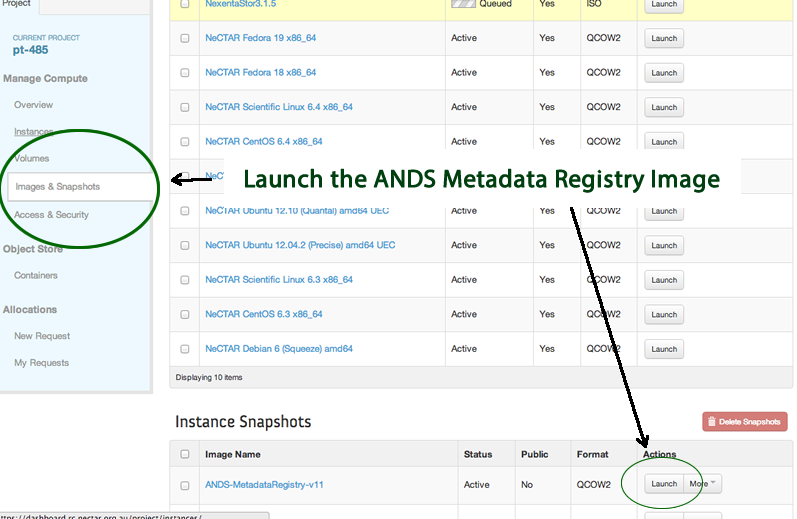 Select the "ANDS-MetadataRegistry-v11" link and click "launch". You will see the launch page. 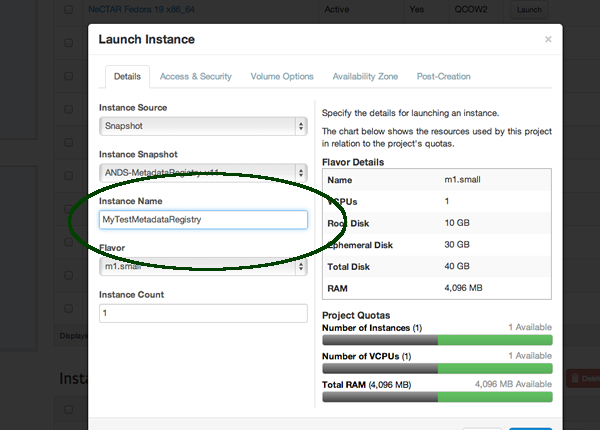 Now click "Launch" -- within about a minute or two, the instance will be deployed and the system will supply you with an IP Address for your new server. 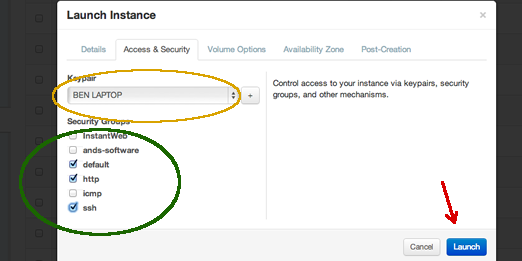 Note: even after the instance has been "Deployed" by NeCTAR, the server still takes about a minute to boot up fully. Now, simply visit your IP address (from the step above) in a web browser -- your new server instance will have been deployed. Remember, you have now setup a virtual machine and will need to be responsible for system administration, maintenance and security. At a bare minimum, please run a server "yum update" as soon as you can (and continue to do regular updates and patches). Also, consult the NeCTAR Security Guidelines. Note: at time of writing, ANDS-Harvester and the ANDS Vocabulary Server are not included in the image. there is a default mysql root password (see here) -- you should update this too! You can update to the latest version of ANDS Registry Core by logging into ec2-user and executing a "git pull" (note: updates to major version may also require you to update the database/SOLR schema -- follow the ANDS-Registry upgrade instructions). 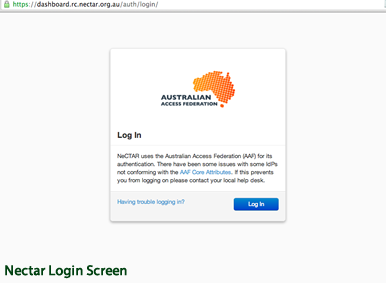 For VM support, please use NeCTAR support or their community support forums. For questions specific to ANDS software, please use our General Discussion area.